The Surf Berbere Morocco Surf Instructor Course is an exciting way to learn something new, experience a fantastic culture, feel part of a community, and make a difference. 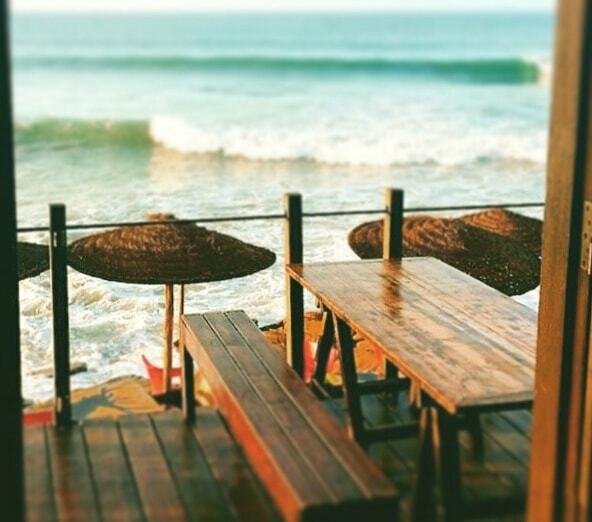 Throughout the 12 week course in Taghazout, you will train to become a surf instructor, learn French, teach English in local schools, and live a stones throw away from the beach in one of the most sociable settings possible! 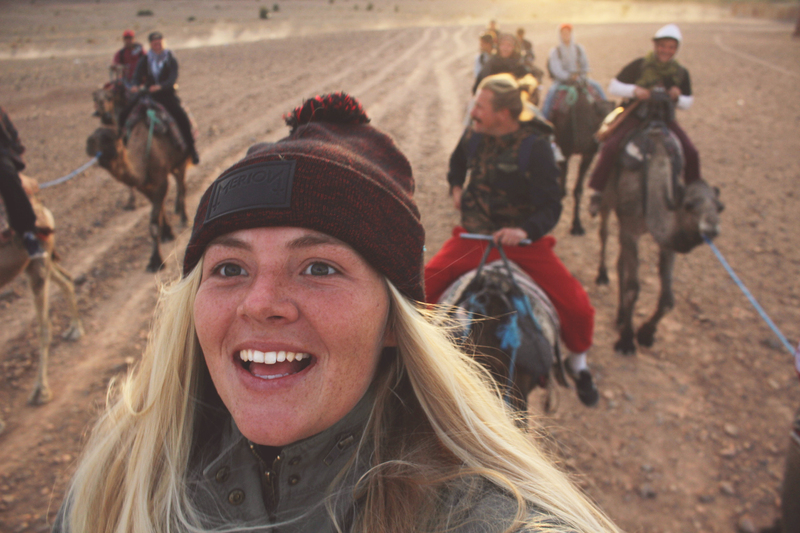 Roof top parties, camp fires, non-stop surf, heaps of great people from all over the world… You name it, we’ve got it. Watch this short video to get a really good idea of how the course looks and how the surfing evolves over a 12 week period. 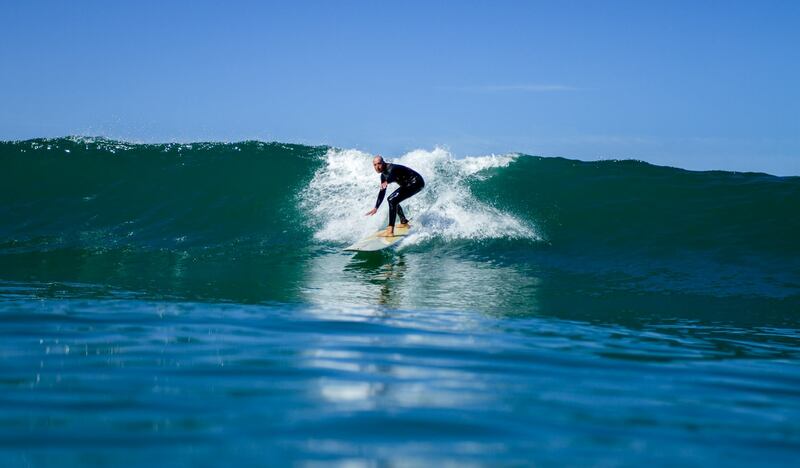 We can’t guarantee that you’ll be surfing like Kelly Slater within 12 weeks, but we’ll try our hardest! Each morning we wake up to a delicious buffet of fresh fruits, cereals, yoghurts, breads and spreads and pancakes down at the cafe (which is about 40 meters to the right of the surf camp). This gets us ready for a full day out surfing from 9am until 4.30pm. We will organise for everyone to have boards and wetsuits (which you can change at any time if you want to test out other bit of kit we have). At around 9am, we head up to the cars and load them up to head out surfing. 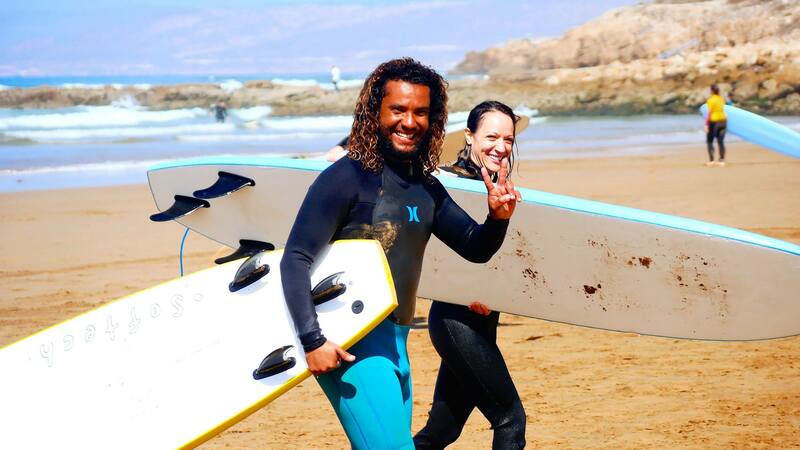 Whilst Taghazout has got some great spots right where we are, we jump in the cars to make sure that we are getting you to the very best waves possible each day! Normally we’ll have a couple of hours of coaching in the morning, then eat our packed lunches down at the beach with some more surf coaching in the afternoon for anyone that still has the energy! Initially, you will find it hard work, all the paddling, the fitness, the training. After a couple of weeks of training though, you’ll be in great shape to start heading out in bigger conditions, so hang in there! 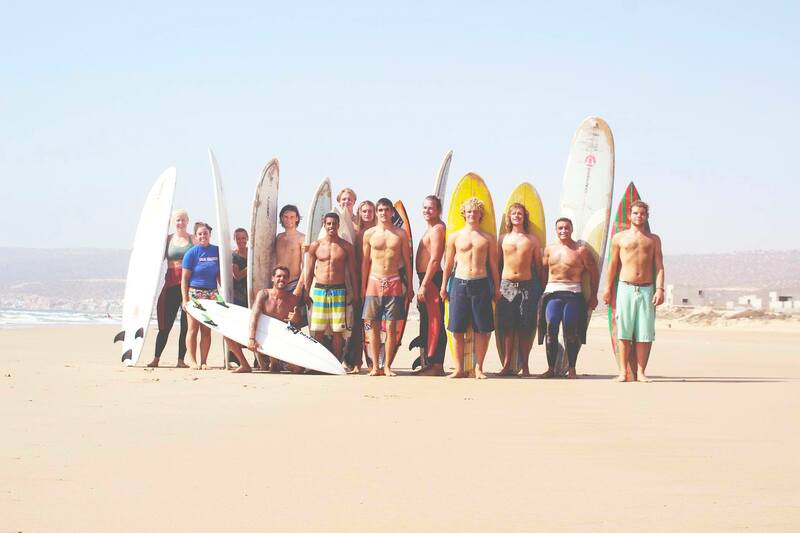 We love surfing and we want to instil our passion for surfing in you. Every day we’ll be taking you to the best spots and coaching you to get you up to the level required to be a great level 1 surf instructor. 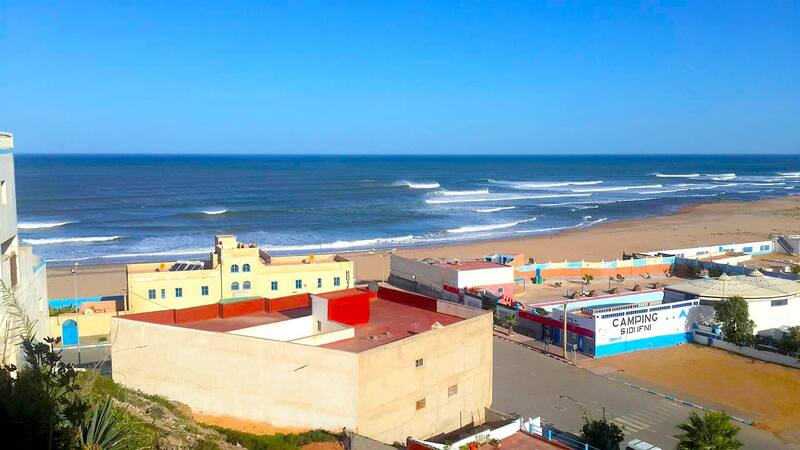 The reason that Taghazout is famous throughout the world is simply because it has some many great surf spots in such a small area. In just a 20 mile stretch of coastline you have over 15 world class point breaks, dozens of fabulous beaches and some absolutely amazing reef breaks. As a beginner you will obviously not be ready to head out to Anchors on a big day. 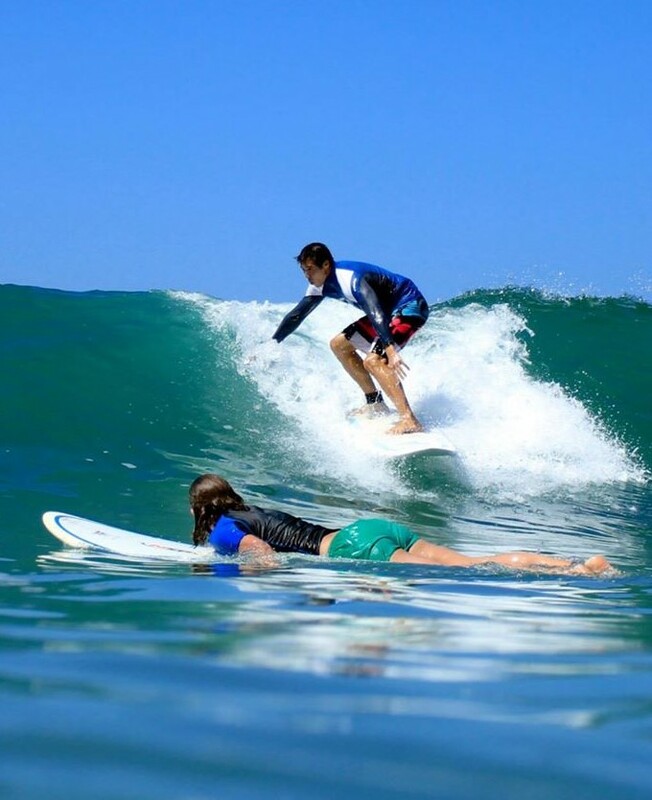 Initially we’ll be taking you to some lovely gentle beach breaks with perfect chest to head high waves to get you standing and catching as many waves as possible. This is how you’ll learn, by catching dozens of waves a day and learning how to ride green waves. Once you are comfortable on green waves, we’ll start mixing up the spots, taking you to nice point breaks on days that are not too scary. This might be a point break like Banana Point, a fab spot that has a lovely peeling right hander coming off the point, then opens up to a stunning beach overlooked by a banana plantation. 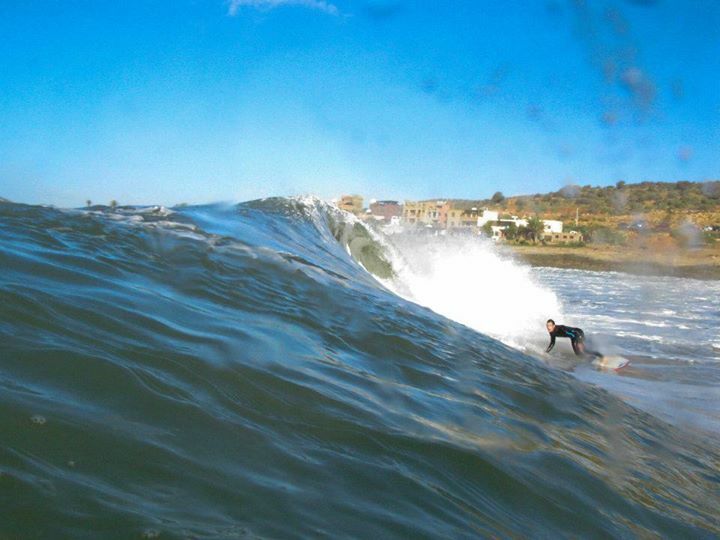 Our goal is to make you comfortable surfing points and reefs by the end of the course. 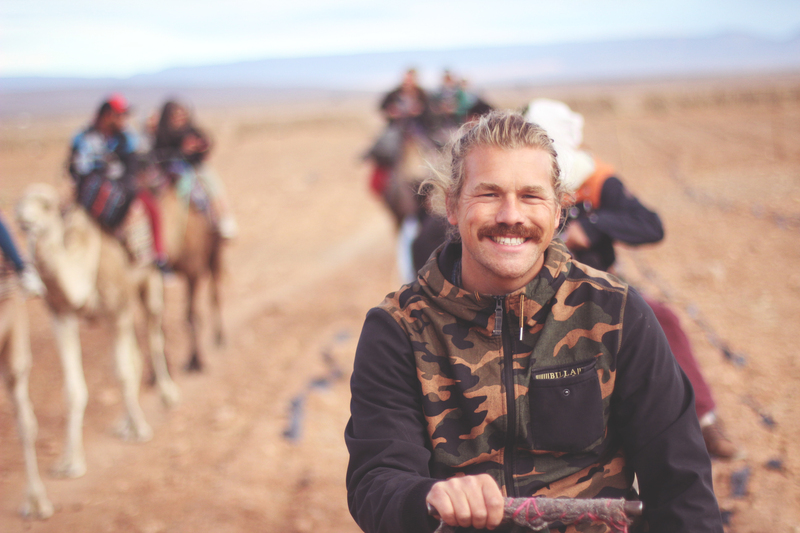 Once you can do that, you can surf pretty much any spot anywhere in the world! 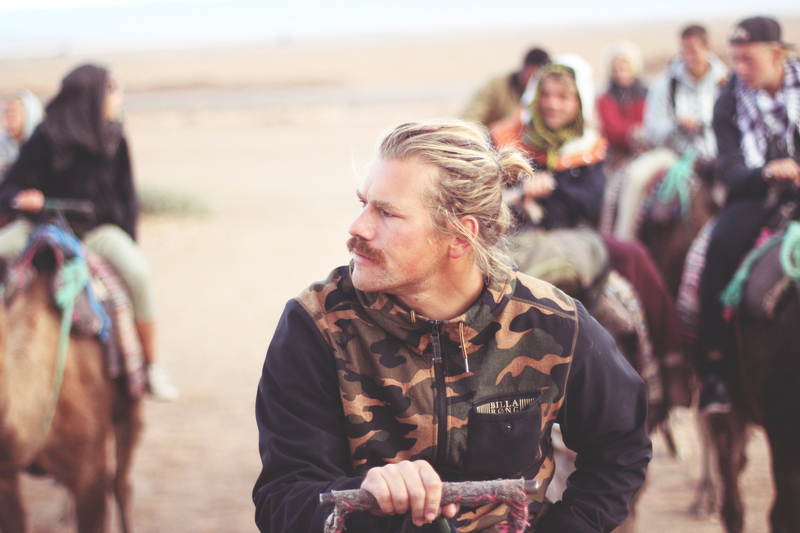 Once we get back to the camp after a full day of surfing, we’ll often have a few hours of chilled out time. This is the time to either chill out, do some shopping, or even join our yoga classes. 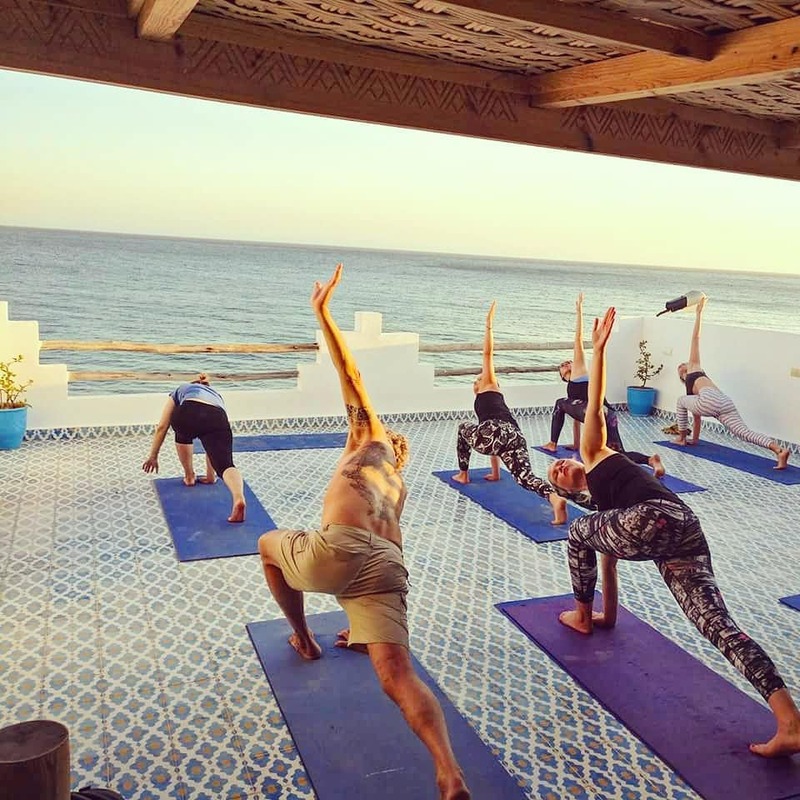 We give our ‘gappies’ some intro yoga sessions as part of the course as it is a fabulous way to wind down, but also build up core strength, one of the most important factors in helping your balance, fitness and general surfing ability. A couple of days a week, we’ll use the spare time for French classes and for you guys to teach the local kids English. 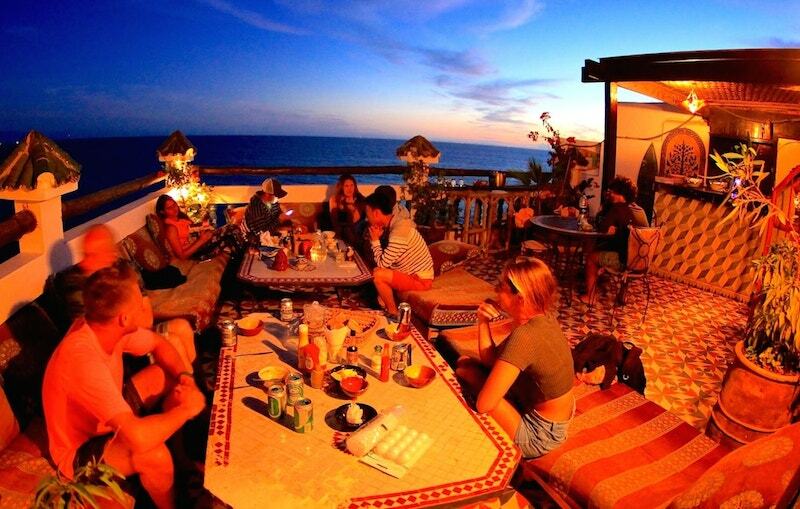 Every evening (apart from Pizza night) we head up to the roof terrace of the surf camp for our dinner; a three course meal that normally kicks off with a tasty soup or salad. Then we tuck in to our mains followed by a simple dessert. Our chef Mohamed will rustle up a weekly menu mixing up traditional tajines and couscous meals with some international staples like a good old burger or bbq kebabs. You are allowed to drink in the camp, obviously we want you to do it in a responsible manner. 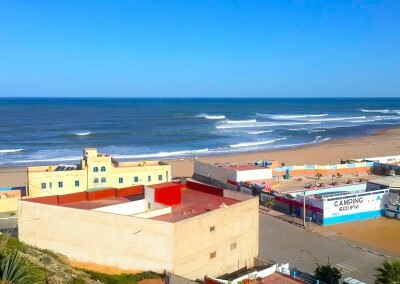 Taghazout itself is a dry town (i.e. 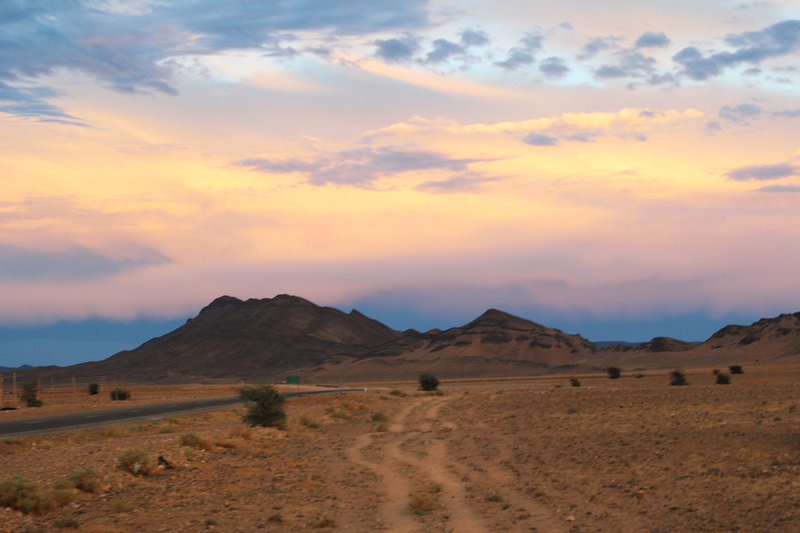 none of the shops or restaurants sell alcohol), but we’ll do a weekly run into Agadir to let you guys stock up. Trust us, after a full day of surfing, that first drink at sunset tastes pretty good… we wouldn’t want to deny you that!  Each week we bring in a French teacher to give you the a basic understanding of French. We’ll get you started with some key phrases so ordering your favourite coffee in the cafe becomes second nature! For anyone keen to learn a bit of Arabic, Hamza is on hand to give you a couple of intro sessions as well. We work closely with the Aftas Association to help the local children improve their English. So once a week we go in to a classroom with them and under supervision from their own teachers, we get you guys interacting with the kids. Tourism and languages provide many of these children their main path to future jobs! 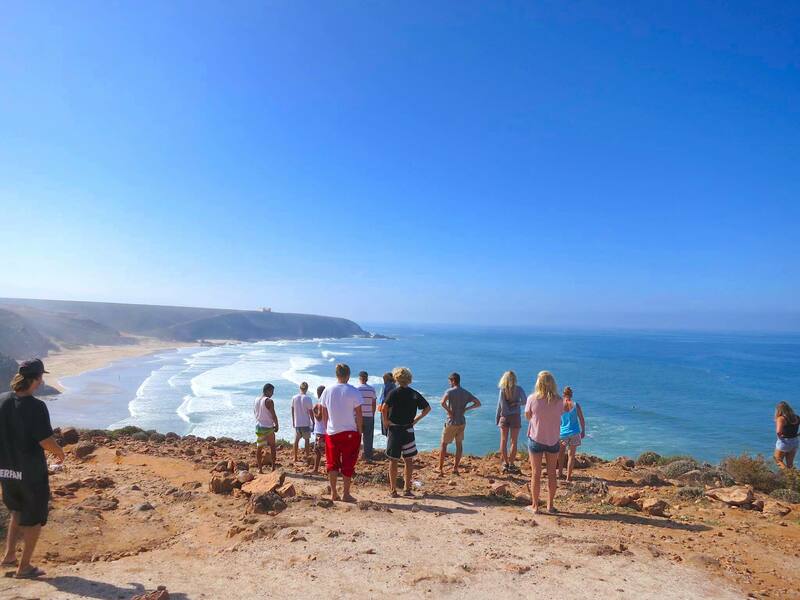 Every course, we organise beach cleanups, surf competitions for the local kids and surf lessons for the children. Remembering that you are just a passer by on this local community is key to making sure that you leave a positive impact on the people that you leave behind! 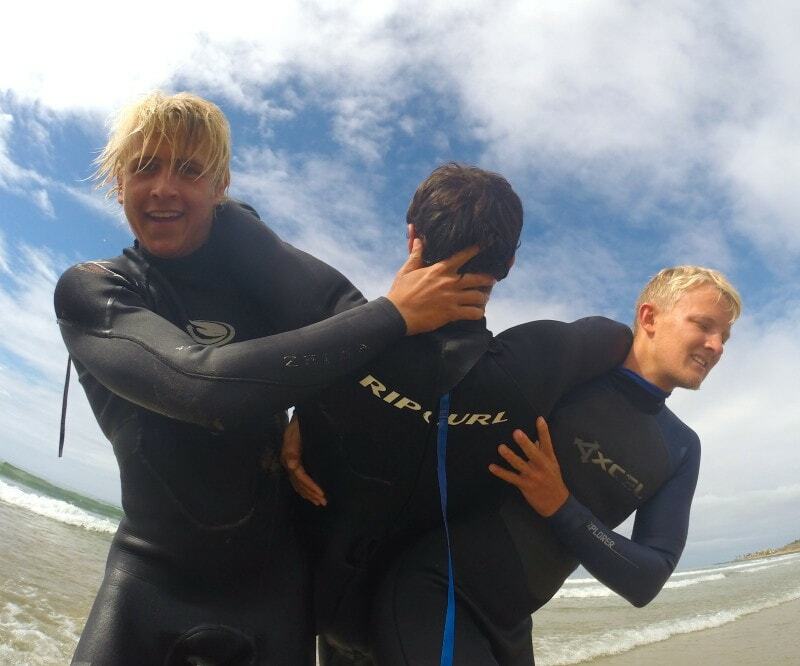 Oh and it also helps when out surfing if you know all the locals… much less hassle in the water! 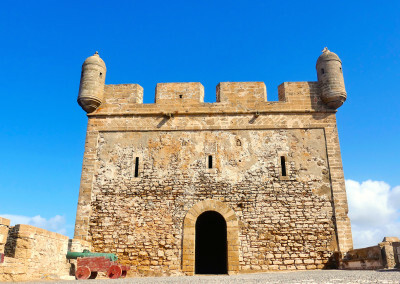 Essaouira has a rich history and some incredible culture all influenced by the numerous countries that have once occupied this beautiful fortified town. 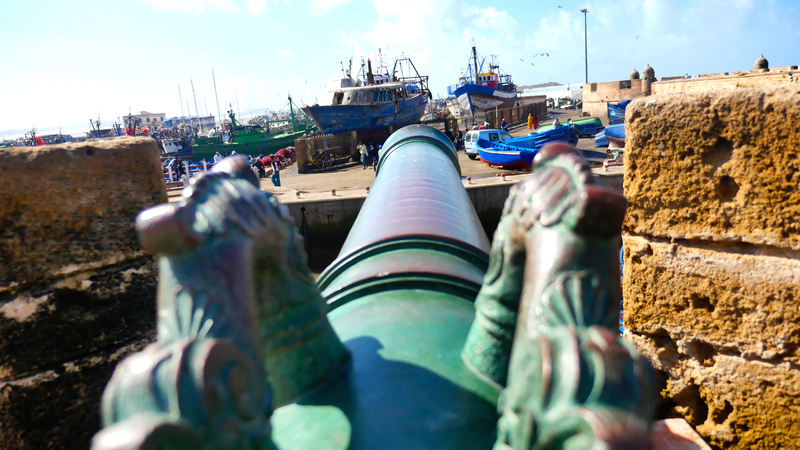 There’s a real fresh and clean feel to Essaouira as you walk around the Medina and the ramparts overlooking the Atlantic ocean. Strong bold Portuguese architecture is in abundance with big impressive facades and squares. Although surfing isn’t great in this town, kite surfing and windsurfing is! It’s also a great place to buy a few souvenirs for back home! 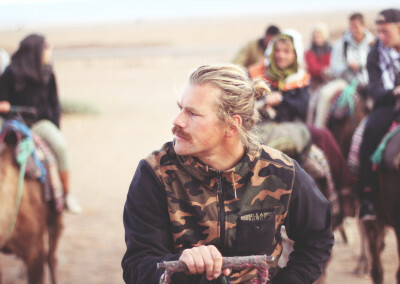 This is one of our favourite trips, a surf mission to the South of Morocco. Welcome to long deserted beach breaks where you are the only ones in the water. 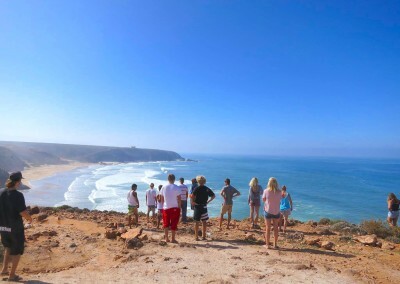 The Sidi Ifni trips are by no means luxury, but hey, you came to surf and this is what we’ll do. 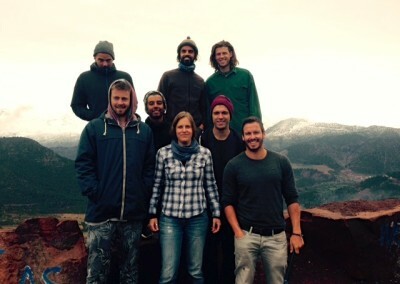 We’ll set up camp in a local hostel, but on the trips to the South just be prepared to get the waves of your life. 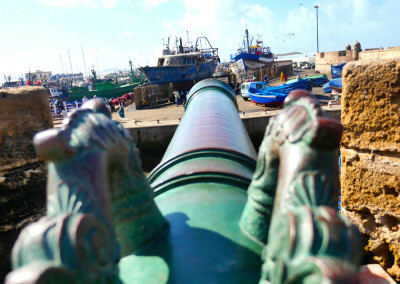 You only have to read through our blogs to see how much fun these trips to the South are. Endless beaches, empty waves, good times! 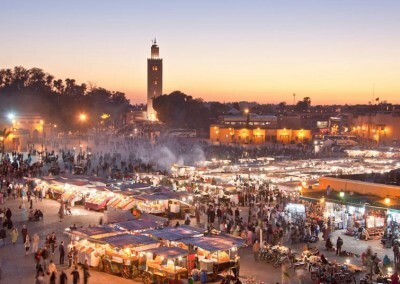 We’ll be taking you to the madness Marrakech for a night after your assessments for a well earned rest. 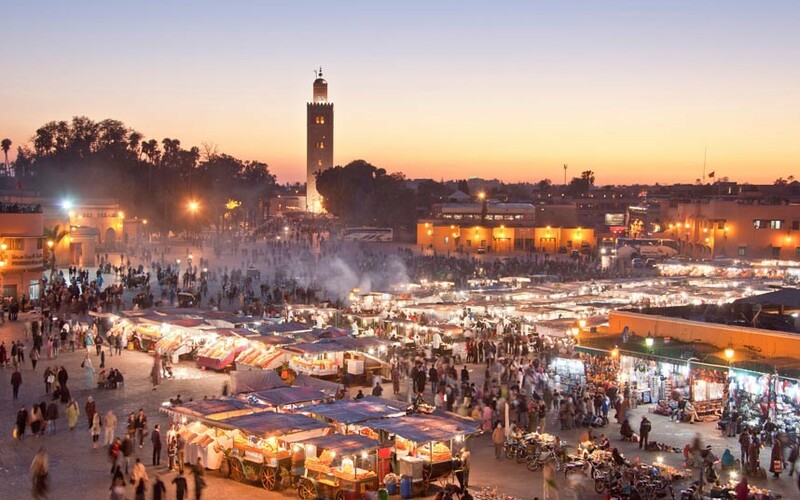 The trading hub of North Africa, Marrakech is picture postcard spectacular. Every where you turn there are smells, colours and such a vibrant abundance of life, you will have never been to a place quite like it before. 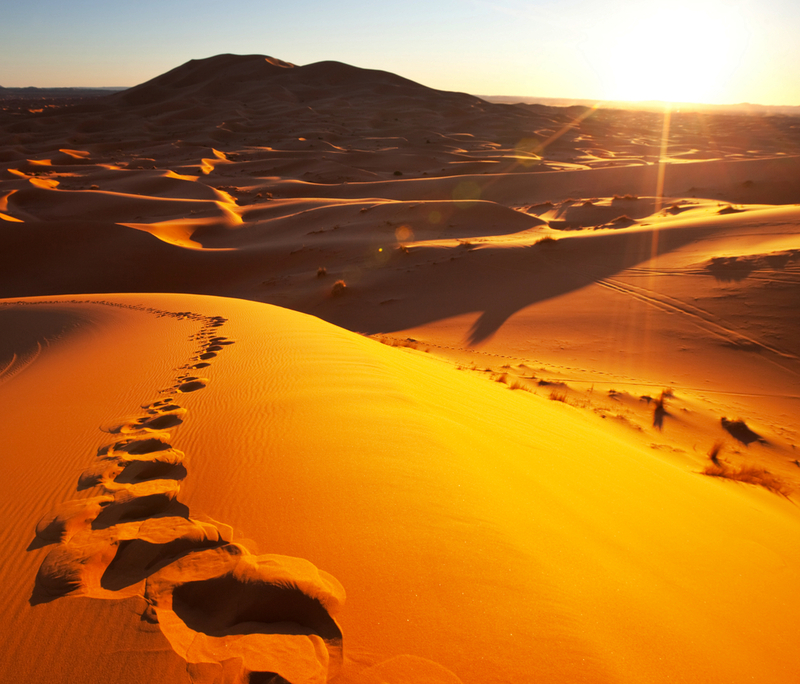 After a night out in the city, we’ll head out to the Sahara desert! 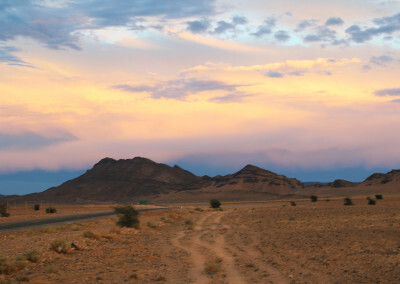 This is a big old road trip, going South East in to the world’s most famous desert. 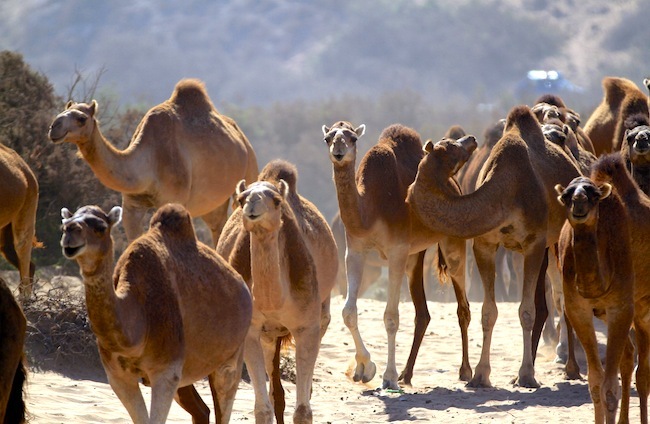 We’ll ride camels in to the distance and set up camp for a night under the desert stars. This is the perfect way to finish a 12 week course with some amazing friends for life! 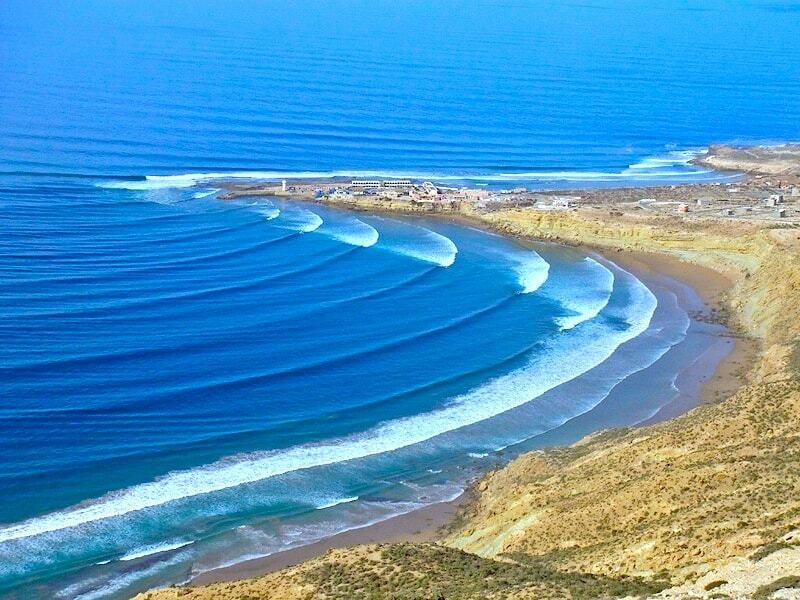 When the swell is right, we’ll try and get you up to Immesouane, home to one of the longest right hand waves in the world! Immesoaune is a beautiful fishing town with a stunning backdrop of mountains and cliffs. It is an absolute favourite of our guests and we try and get up there as often as we can. We head off nice and early in the morning, have a morning session surfing, then hit up the fish market for locally caught catch of the day. This is then grilled up to be served with some fries and salads. We normally have time for another session in the afternoon before hitting the road back to Taghazout. 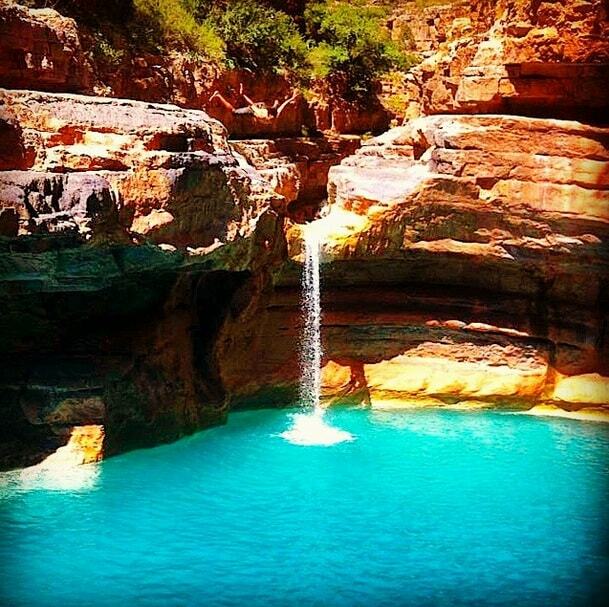 Once a week we try and take a group off to Paradise Valley. It is a 45 min drive to the mountains behind Aourir. Once we have parked up, we do a 15 minute walk into the valley where you come across a series of lush rock pools in a beautiful oasis. Normally we have a tajine up there, cooking whilst we are off swimming and doing the rock jumps. Then on the way back we stop off at an argan cooperative where the local ladies show you how the oil and creams are all made! 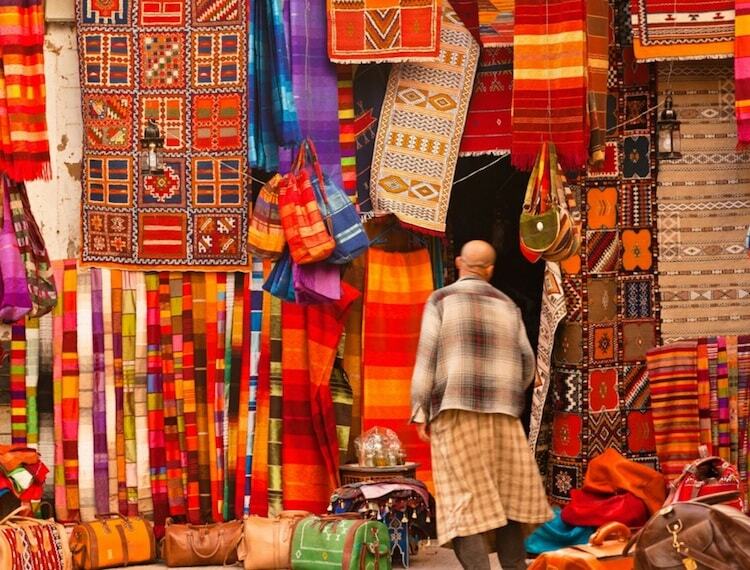 This is what we’d describe as an entry level souk. 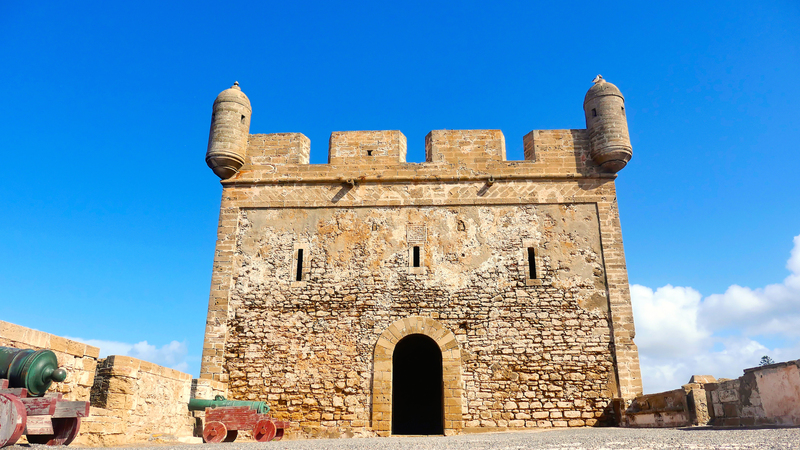 Charming, easy going and no hassle, but with all the same moroccan artifacts that we were hoping to find. 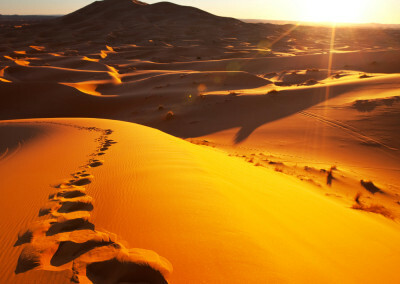 If you ask the hosts, we can easily organise a group to head in to Agadir for an afternoon of wandering round the souk where you can get your last minute presents for the family back home, or just look longingly at stunning moroccan lamps that will in no way work in your house back in England! 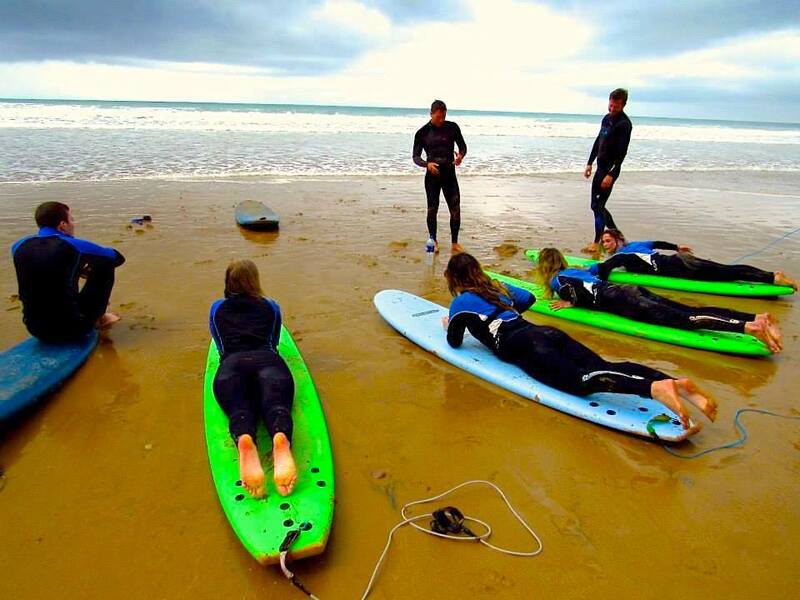 The Level 1 Surfing Instructor course is designed for people who already have intermediate surfing skills. That means you need to be able to catch green waves, perform and link manoeuvres – at a minimum a bottom turn, cutback and re-entry. 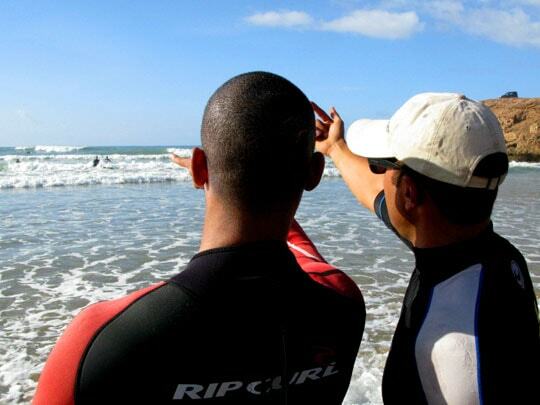 When it comes to your assessment, you will have a surf session in front of our assessors. In this window you need to show that you can catch both left and right waves and perform the requisite manoeuvres. 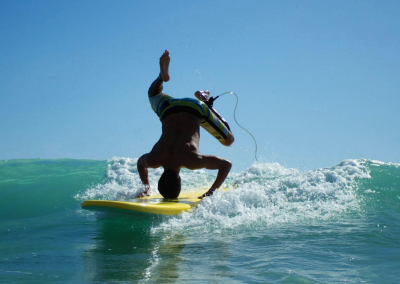 This is the only way that you will pass, if our assessors see you catching the waves. If you don’t perform in front of our assessors, you won’t pass, simple as that. Don’t worry though, we’re here to make sure that for the first couple of months with us you surf your brains out and get to the level you need to be in order to pass! 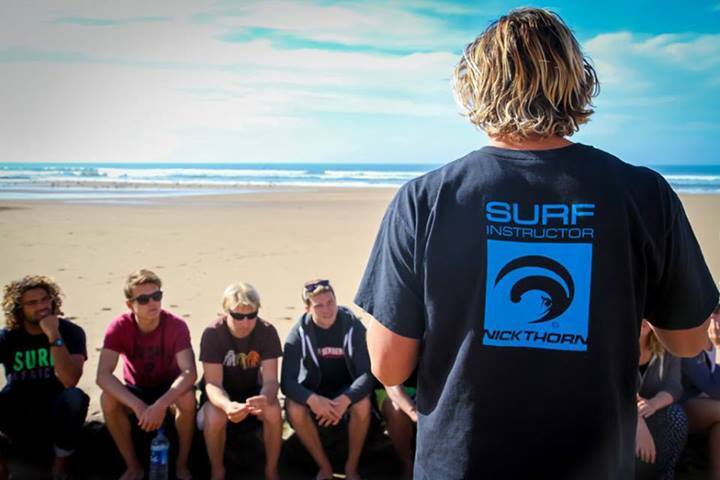 The SLS Surf Coach Lifesaver course is designed to establish a standard which creates a level of lifesaving competence for surf coaches. 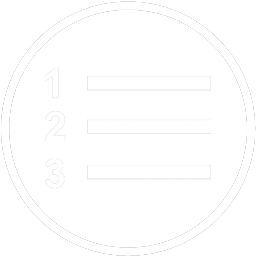 Quite simply, you can’t legally instruct in most countries with out this as your minimum Surf Lifesaving qualification. There will be a lot of focus on first aid as the level of first aid required is far greater than the majority of first aid courses. There’s also a physical aspect to it with various exercises such as open water rescues and body drags. A few of the tasks will include swimming 200metres, rescuing students 150m away on a rescue board, leadership and teamwork skills along with a few hours of classroom study. 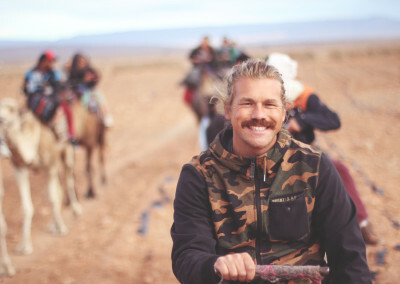 This is an amazing all inclusive week packed full of surfing, yoga, healthy delicious food and generally good times. The goal is that you don’t have to dip in to your wallet at all once you are with us, so you can relax and get on with enjoying your holiday!  We recommend bringing £100-£150 per month spending money. We get asked this question the whole time. The honest answer is not very hard! We’ll try and help you, but it comes down to you. First up, get your CV in good shape. Liven it up, don’t send a boring word doc that shows you have just left school and done OK in your A-levels and GCSE’s, everyone else is doing that. 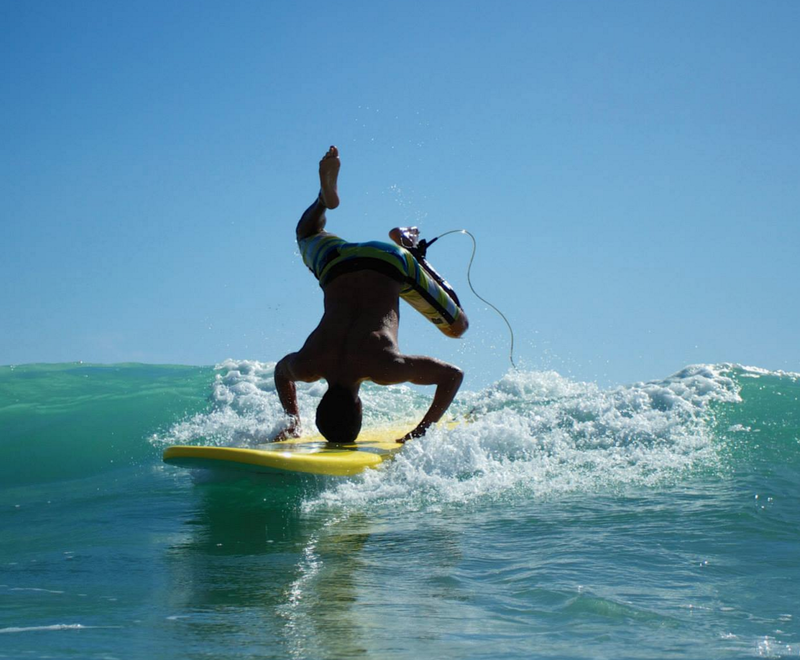 Show you have an instagram account with a true passion for surfing! Set up a photography website, show you can do more than just coaching, show you will help around the surf school after hours. 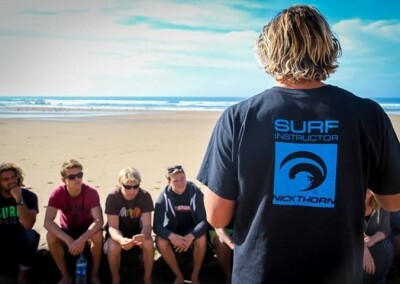 The next thing is to help you work out the seasons for various surf schools and when to apply. Timing is key to working in the surf industry as lots of the schools are very seasonal.  The final step is making sure you can write a good cover e-mail making it unique and tailored to the surf school you are trying to get a job with. If you can’t even find out the name of the person that runs the surf school, then don’t expect them to give you a job! Anyway, we’re here to help, we have a great contact book of former coaches and students that are now running camps in Bali, Sri Lanka, Portugal, Costa Rica and Chile just to name a few! 8am – 9am: Cafe KR Buffet Breaky: Every morning we lay out a spread of fresh fruits, yoghurts, cereals, locally baked breads and spreads, plus some pancakes to get you ready for an action packed day. 9:15am: Meet Your Instructors: We have the most lovely surf instructors and we’ll do the intro’s at breaky then they will take you up to our surf shop to organise your board and wetsuit for the day. They’ll give you a big bottle of water for the day as well. 10am: Hit the beach: But don’t charge for the water just yet, first, we need to make sure you get a proper warm up and some instruction. Down at the beach we have a couple of hours of coaching (no more than 8 guests per instructor, but generally it is 2 – 5 guests per instructor). 12.30pm: Salads & Delicious Baguettes: A tasty packed lunch is served down at the beach. Gone are the days of getting a crusty cheese baguette! We try and get you a nice mix of healthy and nutritious salads with locally sourced ingredients. (If you have an allergy or intolerance just let us know, we’ll happily cater for you). In addition there are some fresh fruits, crisps, nuts and cookies! 1.30pm – 4pm: Surf & Beach Activities: Our instructors are on hand to give you more coaching in the afternoon, but if you feel your arms can’t take it any more, we often have a game of frisbie or footy on the go down at the beach. Fancy reading your book, also fine, we have our umbrellas set up for you to chill out and relax! 4.15pm: Home Time: We try and get back to the surf camp for around 4:30 to 5pm each day, this gives you a bit of time to relax, have a shower or a coffee before our yoga class. 6pm: Sunset Yoga: Relax and stretch out those muscles in our open air studio enjoying stunning views over the ocean. It doesn’t get much better than this, lying back to clear skies as the sun slowly sets over Anchor Point. 7:30pm: 3 Course Dinner: Every evening we have a delicious, hearty dinner prepped by our in house chef Mohamed and his team. 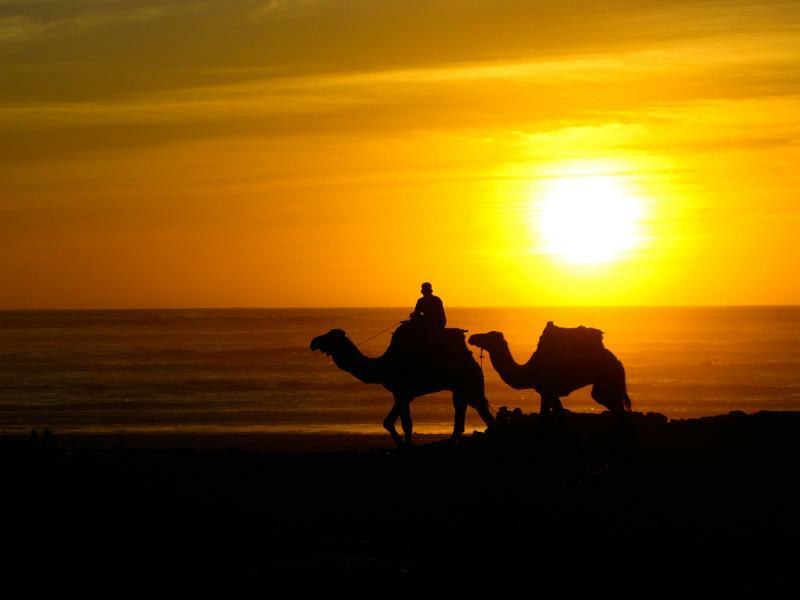 Most evenings there is a starter of a soup or salad, followed by a mix of traditional meals such as tajines and couscous, to the less traditional brochettes and bbq fish. Momo’s apple crumble is something to watch out for as well! Don’t worry, if you need to get in a day or two before the course starts, we can put you up in the surf camp. Likewise at the end of the course, if you need to stay an extra night or two because of flights this is no problem either! You really don’t need much spending money at all. 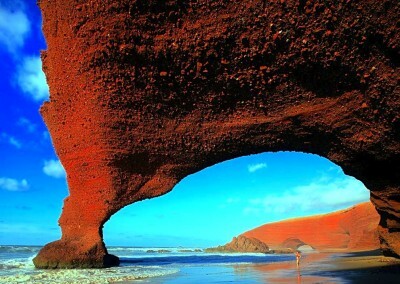 Taghazout is a pretty cheap place to live and you have most of your expenses covered. So budget for maybe £20 per week on additional spending! Hi James. Hope things are good with you! I’ve finally got a moment to sit down and wanted to write a quick thank you message to you as I never really got a chance when we left to thank you properly! I had an amazing time on the course. It wasn’t always easy but it came at time for me when I really needed it, and I honestly couldn’t have asked for more. You have an amazing team of people there. Everyone was so friendly, welcoming and accepting that I instantly felt at home from day 1. 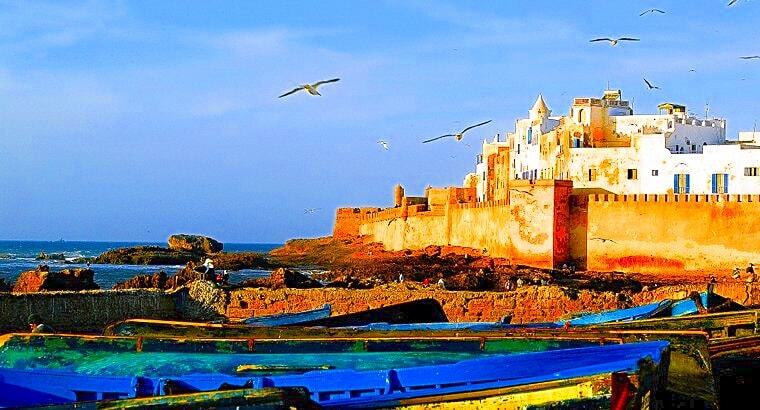 It’s quite difficult coming from our hectic society in the uk and dropping into the laid back life in taghazout, we seem to have this inbuilt need to worry about stuff (mostly irrelevant) which just isn’t the case over there. I think as a result of it though I have a much better appreciation for the slower things in life now! You have a really special place there. 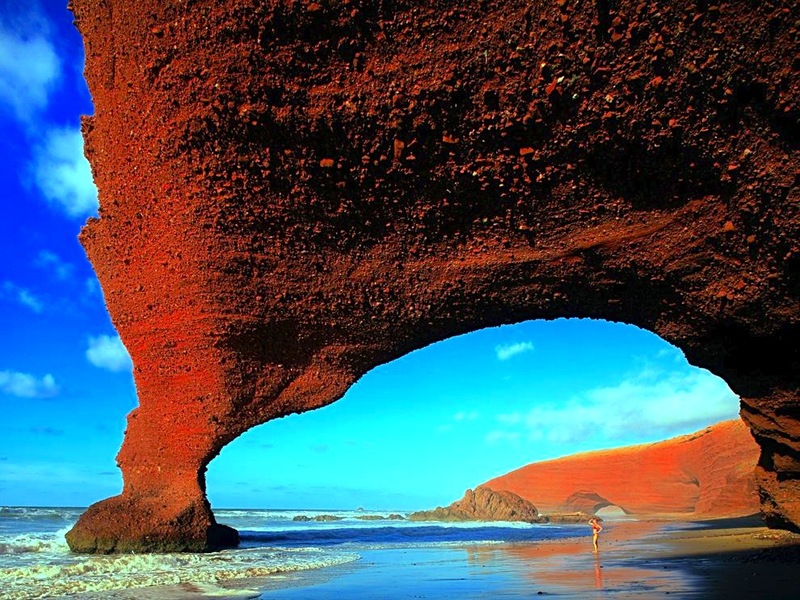 I know there are various difficulties with the Morocco factor etc, but honestly it is a place you should be very proud of. It’s relaxing,homely, welcoming, fun and beautiful. 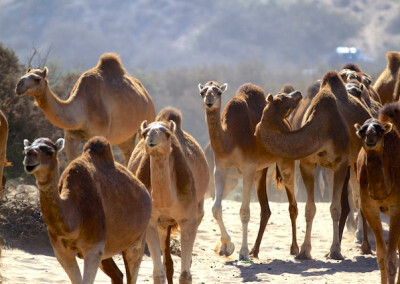 I saw so many people come though on their holidays and have an amazing time, the community feel there is infections and I could see new arrivals instantly feel the same thing. I miss it a lot already. Please pass on my thanks to your team. As always it’s the people that make a place and your people are fantastic. I followed up your email and josh offered me a job for 6months! Thanks again for putting me in touch. I’m absolutely loving it, the camp I am working at is amazing. Everything has been such a whirlwind since finishing the course with the summer in France, then Australia and now Bali. I’ve got some downtime coming whilst I sort out my visa in Singapore, so I will send through some pictures. 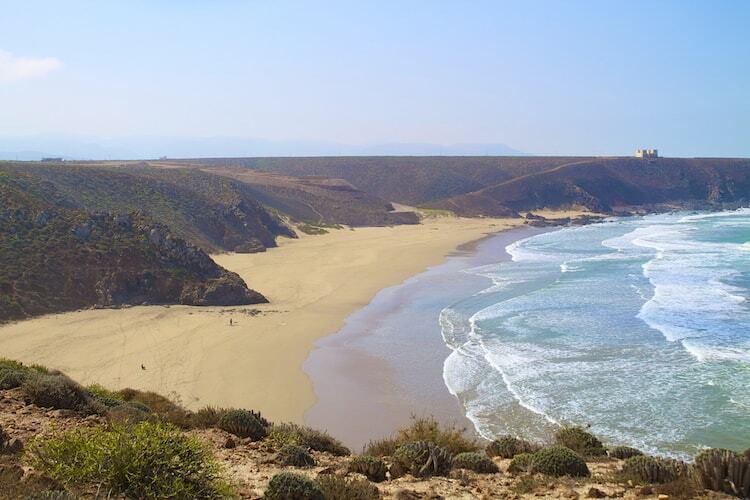 I have been recommending everyone coming through the surf camp about Surf Berbere. When are you next coming out, I owe you a beer for sure!! 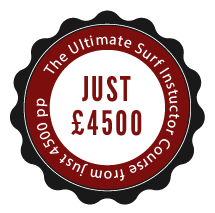 Join Us On The Ultimate Surf Instructor Course! Just Click On The BOOK NOW Button On The Course You Wish To Join. EACH COURSE IS LIMITED TO JUST 14 PEOPLE! If you have any questions about this course, download our info pack or just drop us a message.